Suitable for new readers age six and over. 104 pages, nine chapters, illustrated with cute black and white drawings on every page. 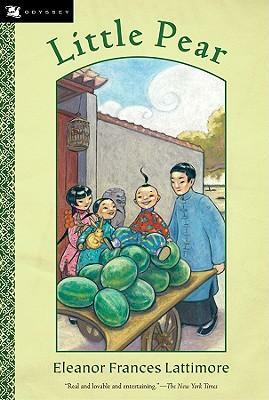 Little Pear is written by an American woman who was born and brought up in Shanghai in the early part of the twentieth century. The story is about a five-year-old boy who lives in a little village in China and who is continually getting into scrapes and needing to be rescued. I like the historical social detail, for example, the way clothes were worn, what the houses were like and how village life in China worked for children a hundred years ago. For example, a boy has a jacket which buttons up the front and the girls have jackets which buttoned down the side and the girls also wore tiny gold earrings. carried easily (what a good idea). We learn about fireworks, kite flying, fruit picking, veggie growing, the fair, what Chinese babies wear in summer (not much), treats, and toys. I though Little Pear was entertaining as well as educational, and I’m glad to be adding it to my children’s library.